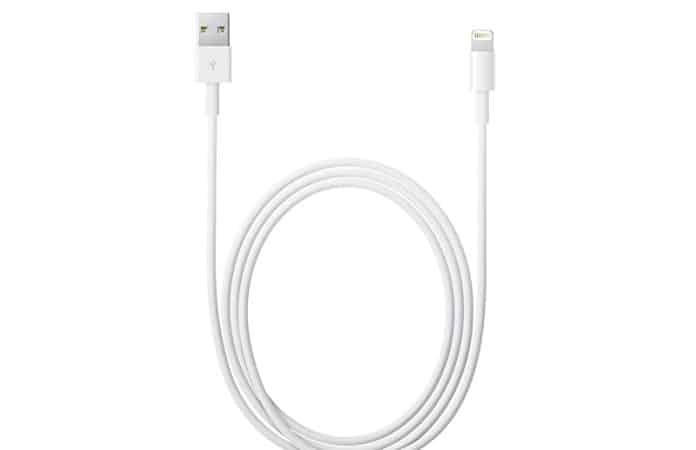 iPhone lightning cables are essential for your iPhone and iPad. These cables are used for multiple purposes and can help you to use your iOS devices regularly. You can charge your iPhone at the fastest speed using lightning cables. You can also use these cables to connect with the devices to sync settings and complete other tasks. So, we have arranged and providing you the complete information of the best lightning cables in 2018. You can surely read the 10 best lightning cables for iPhone and iPad, with their features, characteristics, and uses. It is a durable lightning cable for your iOS devices. It is just like your original Apple cable and provides you ease of using it. It is made of fiber which can easily support the high load and protect your iPhone. It comes with its long collar which helps to safeguard plugs. The critical thing is note that it comes with lifetime guarantee. It means you can surely replace it if it is not doing well for you. It comes in different colors and different lengths. You can but it in red, black, blue, and white colors. You can choose any length between 1 foot, 3 feet, 6 feet, and 10 feet according to your needs. You can but this lighting cable at the cost of $11.99. This is a great lightning cable which you can buy directly from Apple and can help you to charge your iPhone with better-charging speed. It is available in different lengths, and you will never disappoint on your choice. It is an excellent cable with standard manufacturing material which you can buy in different extra lengths and use with your any iOS-based device. The cost of this cable is $19. 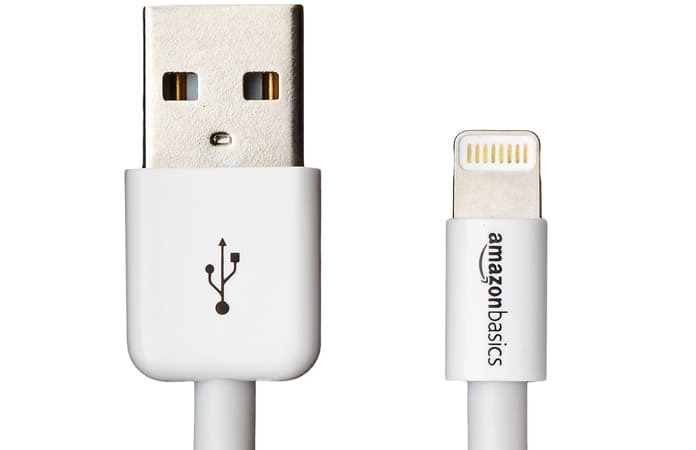 It is a well-admired lightning cable which does not break or bent. It means you don’t need to worry about the breaking and twisting of rough cables. It comes with nylon shielding over the cable, and there are different colors to choose from. Its weight is 175 pounds, and you can add more juice to your iPhone battery fastly using this cable. Its bulletproof fiber core is insulated, and you will get this cable with additional layers of copper and aluminum. It will come with a lifetime guarantee, and you have all the options of colors to purchase it. Its price is $13.99. 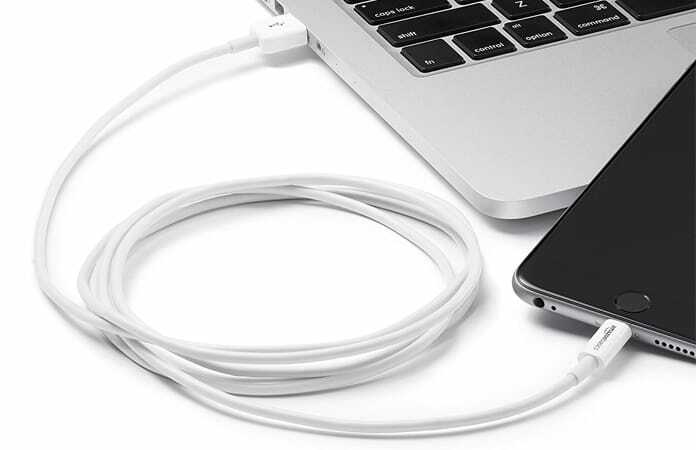 It is one of the best long lightning cables for your needs. This is 10 feet long and can fulfill your charging and other related needs efficiently. 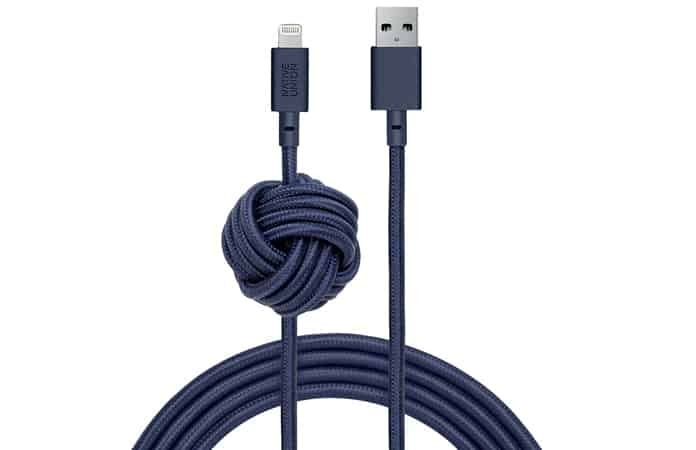 You will get this cable with its ingenious weighted knot which is enough to save it keep it away from falling your set position. 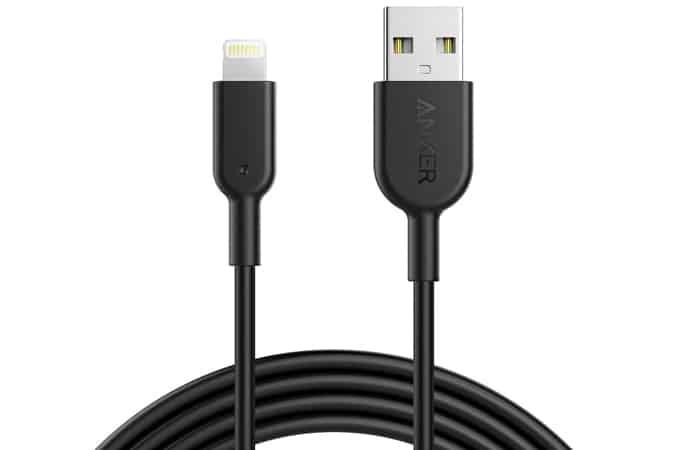 This cable comes with a lifetime guarantee and considered as six times stronger than any standard lightning cable. It is heavily reinforced with nylon, rubber, and Kevlar which reflects its durability and strength. You can buy this cable in different colors having zebra print on it. Its price is only $39.99. It is a great cable from Belkin which is longer and easy to use. It is available in different colors, and its body material has quality. It is reliable and can work for you anywhere and anytime. It is 1.2m/4ft long lightning cable, and you can get this trusted branded cable at the cost $14.95. 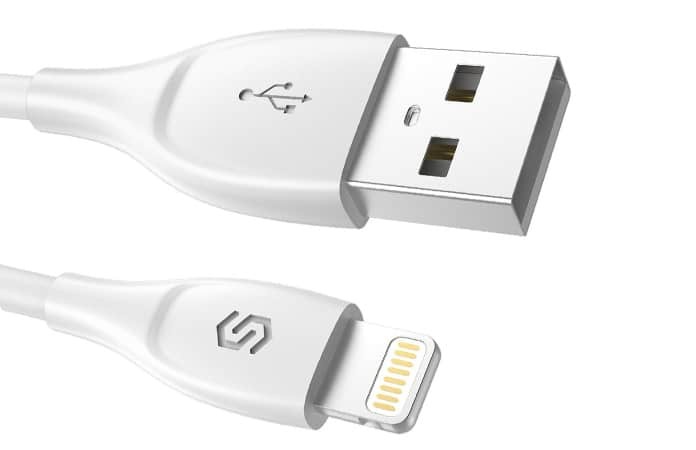 You can consider it a usable short lightning cable which is perfect to use anywhere. Its length is 4-inches, and you can get it from Amazon. You can use this cable to charge different items including your mobile devices, portable batteries, and various types of charging stations. You can get this with the 1-year guarantee. Its manufactured material is of high quality, and you can use it again and again without the issues. It ranges from 4 feet to 6 feet and available in various colors to suit your needs. Its cost is only $15.98. It is a lightning cable which is different from others. It is made of ballistic nylon and kevlar core, and a PVC jacket. Its material is most durable, and it is unbreakable. 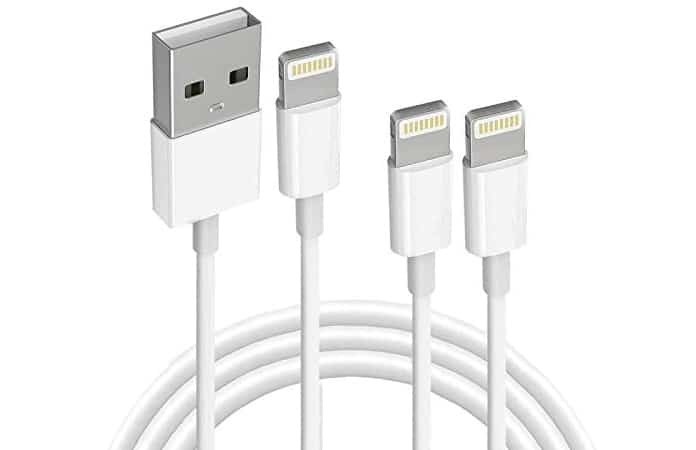 This lightning cable has different lengths such as 1.5m/5ft or3m/10ft. You can buy it in different colors, and it will be easy to manage this cable. Its cost is $29.95. This is the best lightning to USB cable which has a no-frills design and can fulfill your needs efficiently. This is enough to sync your iPhone, charge it and help you to protect your iPhone while you are using this cable. You can buy this cable with its 1-year guarantee. You can buy this 3.28-feet long cable in different colors and different lengths. If you feel any issue, the company will replace the lightning cable free of cost for you. Its cost is $5.59. It is another best lightning cable which is suitable for you in 2018. Its wire is unbreakable, and you will surely enjoy using this quality lightning charger. It is coated with a thick rubber which makes it much stronger than any ordinary cable. 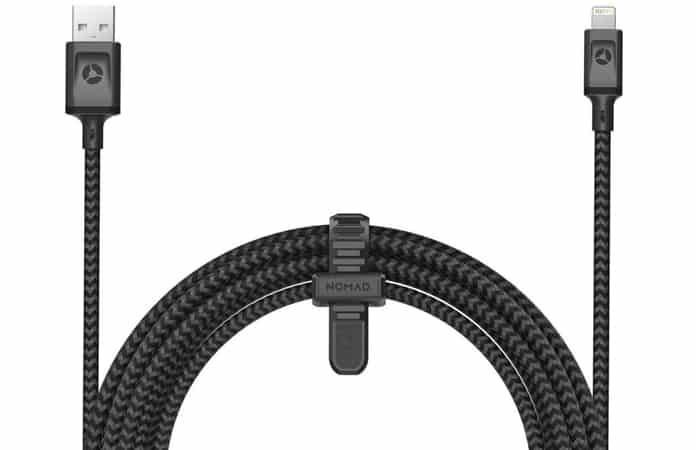 You can get this cable in black and white colors, and it will be 20cm or 1m long. 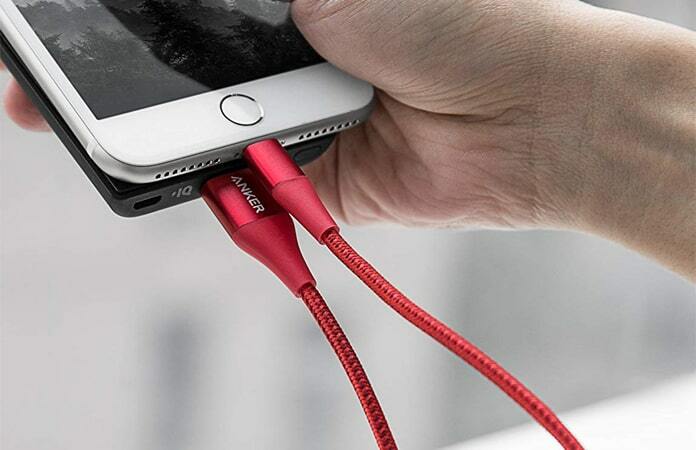 Its price is $10.99 and a best and cheap unbreakable cable for you. 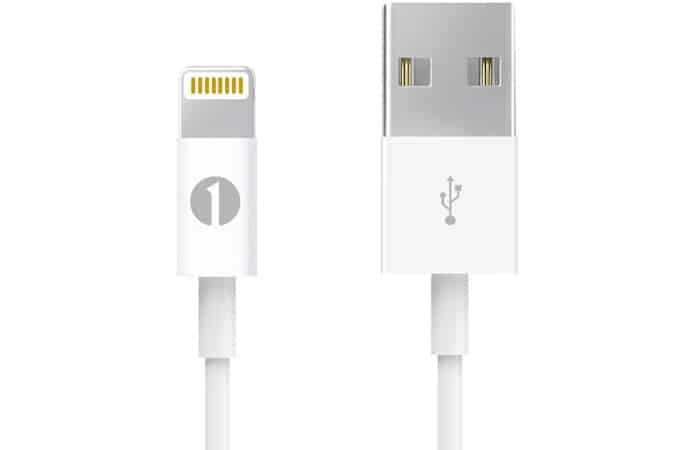 It is an attractive lightning cable which is super and fast to utilize. You will get this from DOZAIERC, and it is the best alternative to your iPhone’s original cable. Its design and body material are super, and its ends are magnetic. 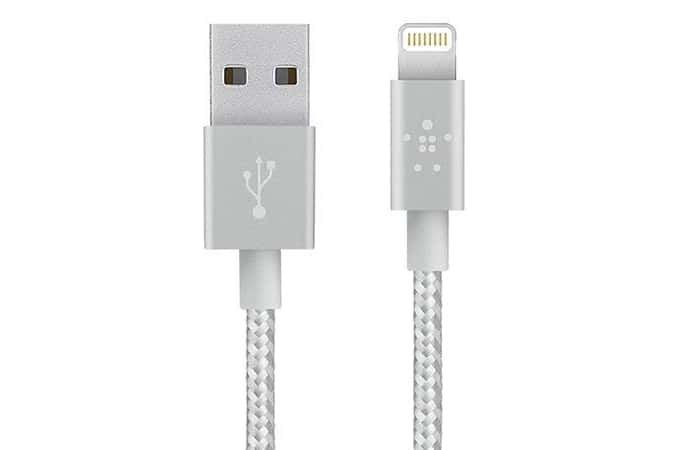 You can use the connectors of this cable as Lightning, USB-C, and micro-USB. Its price is only $11.98, and you can use it for a long time without any issue. Which one of these cables is your favorite? Feel free to share your comments about the best lightning cables in the section below.